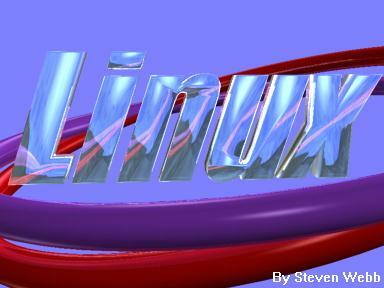 Linux is a very nice operating system that was developed cooperatively on the Internet. Since it was developed on the Net, it is not surprising that Linux and Internetworking work so well together. If you would like more basic information about Linux, check out the Linux International home page or the Linux Documentation Project's home page. I have collected these and several other good Linux references. There are at least three fine telecomunications programs that work under Linux (seyon, minicom, and kermit). Each of which will let you dial into your Internet account. Term is a program that lets you run multiple applications over a serial line. With Term you can run Netscape and other X11 client applications through your Unix shell account. To get more information about Term please see the Linux Documentation Project's Term HOWTO. Linux supports SLIP via the "dip" program and PPP via pppd. Theoretically CSLIP is faster than PPP. Since PPP has become such a widespread standard and is rock solid, I've been using PPP over SLIP lately. For more information on Linux networking check out the Linux Net-3 HOWTO and the Linux Network Administrator's Guide (nag)). See below for tips on setting up Networking for use with a Net Access SLIP/PPP account. Linux is a great way to hook your company's LAN to the Internet. Configuration is similar to that of a dial-up SLIP/PPP account. Set your machine's hostname using the hostname command (Slackware uses /etc/HOSTNAME to initialize the hostname at boot time; Debian uses /etc/hostname). You can choose any hostname. It doesn't really matter since the Internet won't "know" your machine's name anyway. In /etc/resolv.conf make "nameserver 127.0.0.1" the first nameserver. If you have a forwarders line in your /etc/named.boot (as below), you can omit the other nameserver lines from /etc/resolv.conf.
.                   99999999    IN  NS  ns1.netaxs.com. You might want to use the Debian Project's annotated version of the /etc/ppp/options file. /usr/sbin/ppp should be mode 4754 and setgid to dip or another group with permission to access the modem. wvdial is fantastic at setting up PPP connections with the minimum of fuss. It will work on netaxs' 1-215-966-6666 hunt group. There is a bug that prevented it from working with the 1-215-966-7777 hunt group, but I've submitted a bug report and hope that it will be resolved soon. wvdial's home page has the latest scoop. Or pick up the stable Debian package or the the unstable Debian package. connect "/usr/sbin/chat -t 255 -v -f ~/.ppp.chatscript"
You must change the parameter "/dev/ttyS2" to the device where your modem lives. "/dev/ttyS0" is COM1; "/dev/ttyS1" is COM2; "/dev/ttyS2" is COM3; and "/dev/ttyS3" is COM4. Once everything is configured correctly running this script should connect you to netaxs. Run "tail -f /var/log/messages &" (or something similar) to see the status messages (depending on the configuration in /etc/syslog.conf the messages may be saved in another file). Make sure you set the mode to 600, so other users on your system can't read your password! You may need to change the modem init string (mine sets the modem to wait for 255 secs for a "CONNECT" string). You will probably want to change the phone number to a POP local to you. Instead of these scripts, I now recommend xisp which is much easier if you are running X. It has some prerequisites. But once its running, it works great! For more information see the Linux Serial HOWTO, the PPP HOWTO, and The README for PPP (probably located in /usr/doc/ppp on your system). Basically all you need for SLIP is a good dip(8) script. I recommend my hacked version of Peter Tobias's dipconfig script (originally built for the Debian GNU/Linux Project). I have prepared this for Net Access's dynamic and static IP accounts. For the dynamic script you only need to edit which port your modem lives on and put your login name and password in the correct place. For the static script you also need your IP address AND the IP address of the terminal server you are connecting to (Net Access staff can supply these to you). Vince Quaresima wrote another dip script which I hacked just a wee bit. It has excellent comments. It doesn't work for dynamic SLIP. Daryl Jurbala wrote NetSLIP, a dip script for establishing a dynamic SLIP connection. If you want to look at it, don't forget to read his README. Make sure SLIP is in your kernel. Check /var/log/messages (or /var/adm/messages on older Slackware systems). If you don't have a kernel supporting SLIP, you might be able to load a kernel module with insmod(1). Check out the Net Access User's Guide to see if any phone numbers or server addresses have changed since the last time this document was updated. If you need further assistance try, netaxs.linux, the Net Access Linux newsgroup.